Organization Development is geared toward improving both performance and people in the workplace. 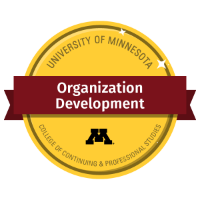 This certificate program will spotlight your role as a leader and change agent and help you achieve organizational results. Learn how to apply processes and tools in your organization.